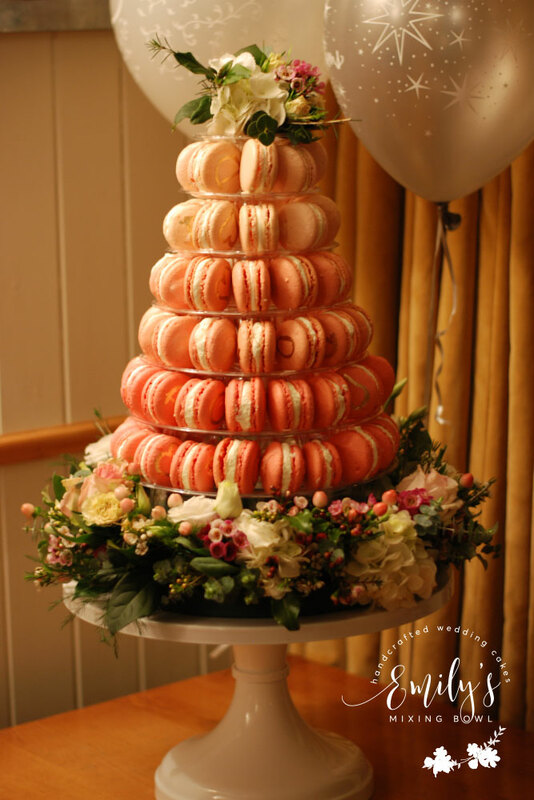 Danni & Ollie had this macaron tower for their engagement party at The Yew Tree in Chalvington, East Sussex. However it is also perfect for weddings as either a stand alone piece or alongside a wedding cake. I made the macarons in a pink ombre effect with gold initials on each macaron but they can be made to match any colour theme. The floral decorations were made by Jo Frost Flowers. I also make macarons in individual boxes as wedding favours.